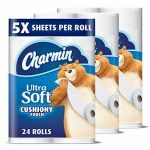 “All about” posts take an in-depth look into various topics. See all of them here. Have a topic you want to read more about? Sound off in the comments! 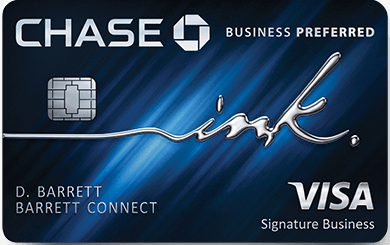 Earn Starpoints on the Chase Marriott Rewards® Premier Credit Card Click Here to get more details on this card and compare to other hotel cards! The Starwood card is an excellent card for general spending. You can use just a couple thousand points for free hotel nights or transfer points into the mileage programs of dozens of airlines with a 25% transfer bonus. Click here to read all about the various ways to redeem your Starpoints and Marriott points. To make a mileage transfer just login to your Starwood account at SPG.com. 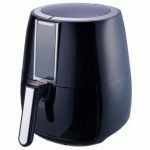 If you have never made an account at SPG.com you may need to set one up. Locate your SPG number on the Starwood AMEX statement where it lists how many points you earned in the past month and for the year. Then you can setup an SPG.com account. Click here to transfer Starpoints into airline miles. Note that transfers can take a few days to complete. 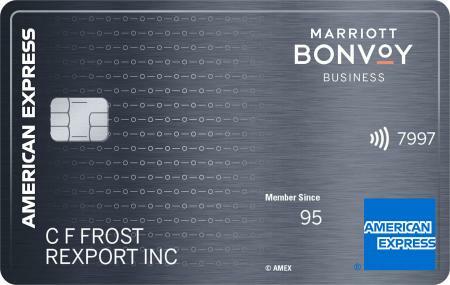 You can also transfer Starpoints into Marriott points at a 1:3 ratio. Marriott has their own airline transfer option and an excellent miles+nights redemption option. You can read more about Marriott’s lucrative miles+nights travel packages here. 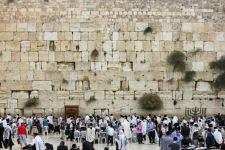 Many DansDeals readers love using their points for travel to Israel, so here are some tips and well as a guide to how many Starpoints you would need. 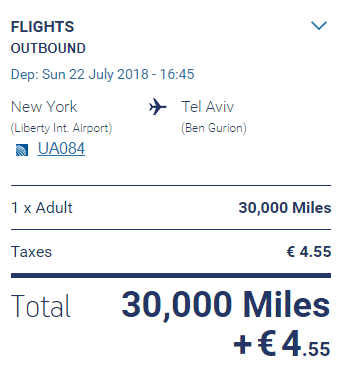 Award tickets to Israel are always tough, though that’s a function of it being an expensive route to fly compared to the distance of the flight. 1. Check availability at least daily (if not more often) as award seats can come and go very quickly. 2. Be willing to connect in Europe for much better availability. That may mean booking an award with a stopover in Europe or booking 2 separate awards from the US to Europe and Europe to Israel. Or it can mean using miles to get to Europe and then looking for a flight on a low cost carriers from Europe to Israel for a cheap paid flight. 3. If you are ready to fly on a whim airlines often open up saver awards the day of or the day before a flight. Otherwise a month in advance is a typical sweet spot. 4. Realize that not all partners will be displayed online and you need to do your own research on partner sites and/or call to find partner availability. For example AA.com won’t show Cathay flights, BA.com won’t show Aer Lingus flights, etc. 5. Airline search engines are only so powerful. 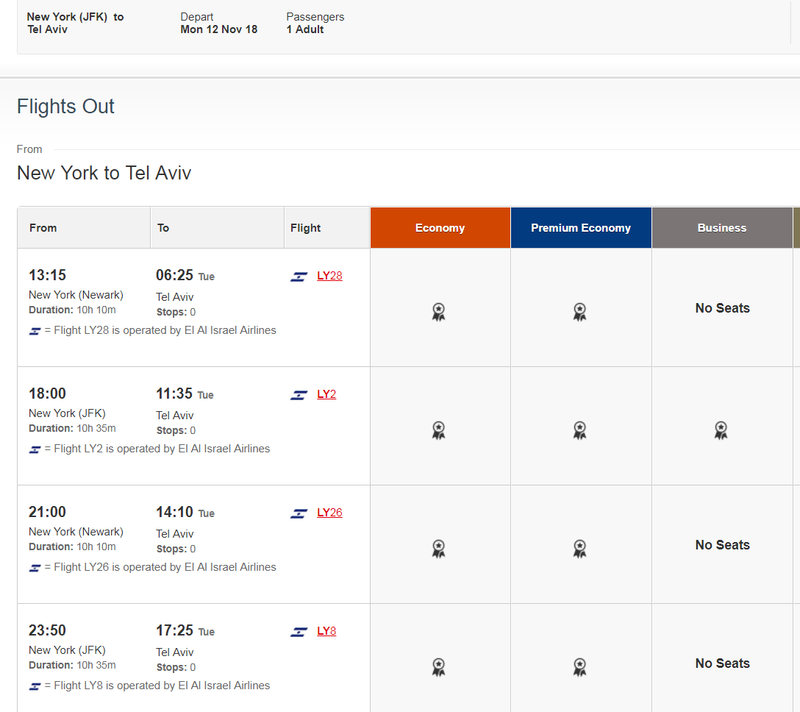 If you are flying from somewhere besides NYC just search from NYC-Tel Aviv instead of from Los Angeles to Tel Aviv. You can always piece together an award by searching for Los Angeles-NYC separately then NYC-Tel Aviv, especially if you are willing to have a long connection, change airports in NYC, or are willing to stay overnight in NYC. 6. The same goes for tickets from NYC. Search from other gateways, like Toronto, and piece together the flights to get there afterward. For example be willing to use Avios to get to Toronto and then use United miles to fly from Toronto-Tel Aviv, etc. Consider searching from NYC to European cities and piece together an award from Europe to Israel. You may find availability from NYC to London and then from Paris to Tel Aviv but a computer would never put that open jaw ticket together. Instead you can check out London and Paris on the way to Tel Aviv. Sometimes you can even save miles by doing that! 7. Find award availability before transferring miles. Once they’re transferred they can’t be reversed! 8. Need help? You can post your travel dates and which miles you have in this DDF thread and ask for help. Consider offering a monetary or mileage reward to the forum member that can come up with the best award ticket to meet your needs and you may find that suggestions will come flooding in! The rates in this post are for flights from NYC to Tel Aviv unless otherwise noted. Nonstop flights from North America include Air Canada from Montreal or Toronto and United from Newark or San Francisco. These flights all have lie-flat business class seating and have no first class. Star Alliance offers the best availability for flights to Israel by leaps and bounds. Besides for the nonstop flights from North America there are many options via Europe in coach, business, and first class worth looking into including Swiss via Zurich, Lufthansa via Frankfurt and Munich, Brussels via Brussels, Austrian via Vienna, Turkish via Istanbul, Singapore+Lufthansa via Frankfurt, Aegean via Athens, LOT via Warsaw, or a mix of carriers like United from Newark to one of dozens of European cities and a European carrier to Tel Aviv. You can search for Star Alliance award availability on sites like United.com, Aeroplan.com, and ANA.co.jp. You’ll need create an account and login to use Aeroplan or ANA’s award search. Note that Starpoint rates listed below are assuming that you maximize the 25% point bonus for transferring Starpoints in blocks of 20,000 points (which you may or may not be able to do depending on the number of passengers, so you may have leftover miles). Rates listed below are for round-trip travel! Using ANA miles, from 52,000 Starpoints. Miles required: 65K coach, 104K business, 195K first. Transfer Ratio via Starwood: 20,000 Starpoints=25,000 ANA miles. At a 1:1.25 ratio this means 52,000 Starpoints in coach, 83,200 Starpoints in business, or 156,000 Starpoints in first. Transfer Ratio via Marriott: 90,000 Starpoints=85K ANA plus 7 Marriott nights. 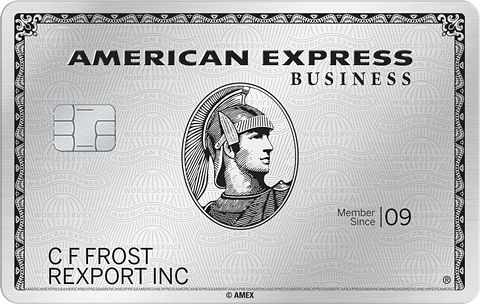 Other transfer partners: AMEX Membership Rewards partner at a 1:1 ratio. Fuel surcharges: None on Air Canada or United awards. Mileage expiration: 36 months after they are earned regardless of activity. Online partner airline award booking: Yes. Changes/Cancellation: ANA allows free date changes. Cancellation results in a 3,000 mile penalty. Infant fees: 10% of full fare. Using Aegean miles, from 48,000 Starpoints. Miles required: 60K coach, 90K business, 120K first. Transfer Ratio: 20,000 Starpoints=25,000 ANA miles. At a 1:1.25 ratio this means 48,000 Starpoints in coach, 72,000 Starpoints in business, or 96,000 Starpoints in first. Transfer Ratio via Marriott: Not available. Mileage expiration: You must earn 1 mile every 60 months from a paid flight to extend the validity of your miles. One-way awards: Allowed for half the amount of a round-trip. Using Air Canada Aeroplan miles, from 64,000 Starpoints. Miles required: 80K coach, 165K business, 230K first. Transfer Ratio: 20,000 Starpoints=25,000 Aeroplan miles. At a 1:1.25 ratio this means the equivalent of 64,000 Starpoints in coach, 132,000 Starpoints in business, or 184,000 Starpoints in first. Note that there is currently an additional 25% transfer bonus, so 20,000 Starpoints=31,250 Aeroplan miles. Fuel surcharges: If you fly on these carriers you will pay a fuel surcharge: Adria, Air Canada, ANA, Asiana, Austrian, LOT Polish, Lufthansa, and TAP Portugal. If you fly on these carriers you will not pay a fuel surcharge: Aegean, Air China, Air India, Air New Zealand, Avianca, Brussels, COPA, Croatia, EVA, EgyptAir, Ethiopian, SAS, Singapore, South African, Swiss, THAI, Turkish, and United. Minimal fuel surcharges for LOT. Mileage expiration: Air Canada miles require activity every 12 months to keep them active. Stopovers: Air Canada generously allows for 2 free stopovers, so you can check out 2 American, Asian, or European cities in addition to Tel Aviv for the same amount of miles! 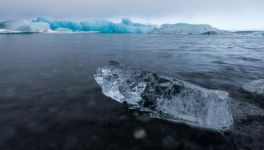 Changes/Cancellation: There is a C$100 charge to change or cancel an award ticket and an effective C$250 charge to cancel within 21 days of departure. Infant fees: Flat fee of just $50 in coach, $100 in business, and $125 in first. Note: Air Canada will end their official relationship with Aeroplan after 6/29/2020! Note: Aeroplan offers expanded award availability on Air Canada flights. Using Singapore miles, from 72,000 Starpoints. Miles required: 90K coach, 138K business, 180K first. Transfer Ratio: 20,000 Starpoints=25,000 Singapore miles. At a 1:1.25 ratio this means the equivalent of 72,000 Starpoints in coach, 110,400 Starpoints in business, or 144,000 Starpoints in first. Transfer Ratio via Marriott: 90,000 Starpoints=85K Singapore plus 7 Marriott nights. 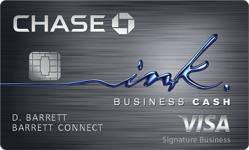 Other transfer partners: AMEX Membership Rewards, Chase Ultimate Rewards, and Citi ThankYou partner at a 1:1 ratio. Fuel surcharges: None on United and Singapore. Changes/Cancellation: $20 change fee, $30 cancellation fee. Effective 5/1 the change fee will be $50 and the cancellation fee will be $75. Note: With Singapore miles you can fly on Singapore from JFK to Frankfurt in business or first(suites) class and then to Tel Aviv on Lufthansa, which you can’t do with other miles. Miles required: 85K coach, 150K business on United, 170K business on partners, 180K first on United, 280K first on partners. Transfer Ratio via Marriott: 18,667 Starpoints=56,000 Marriott points=25,000 United miles. Other transfer partners: Chase Ultimate Rewards at a 1:1 ratio. 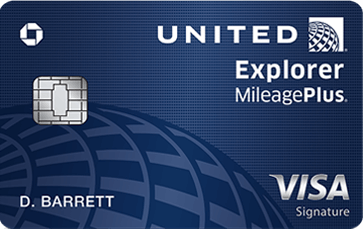 Mileage expiration: United miles require activity every 18 months unless you have a United credit card. Online partner airline award booking: Available most airlines. Stopovers: 1 free stopover within the region of the destination. 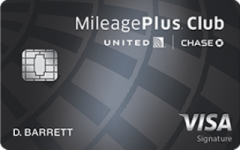 Note: With United miles you’ll never pay a fuel surcharge. Note: United cardholders and elites get expanded award availability on United flights when using United miles. Miles required: For departures from the USA nonstop to Tel Aviv: 80K coach, 135K business. For departures from the USA to Tel Aviv via Europe: 100K coach, 185K business, 290K first. For departures from Israel to the USA nonstop or via Europe for Miles & More accounts with an Israeli address on file: 60K coach, 105K business, 170K first. Transfer Ratio: 20,000 Starpoints=25,000 Lufthansa miles. At a 1:1.25 ratio this means rates starting at 48K Starpoints in coach, 84K Starpoints in business, or 136K Starpoints in first. Fuel surcharges: Apply on all airlines except LOT. Mileage expiration: Miles expire 36 months after they are earned regardless of activity unless you have a Lufthansa credit card that you use every month. Stopovers: 2 free stopovers and 2 open jaws allowed on a round-trip. Changes/Cancellation: There is a $60 charge to change or cancel an award ticket. Infant fees: None except for airport departure taxes. Children ages 2-11: Receive a 25% discount on the mileage requirement on Miles & More flights. Note: Miles & More offers expanded award availability on Lufthansa and Swiss business and first class. There are no nonstop OneWorld flights between North America and Tel Aviv. Connecting flights to Israel include BA via London, Finnair via Helsinki, Iberia via Madrid, and Royal Jordanian via Amman. BA availability is good, but has high fuel surcharges. You can check OneWorld availability on incomplete sites such as AA.com, BA.com, Iberia.com, and Qantas.com. You’ll need create an account and login to use BA’s, Iberia’s or Qantas’ award search. 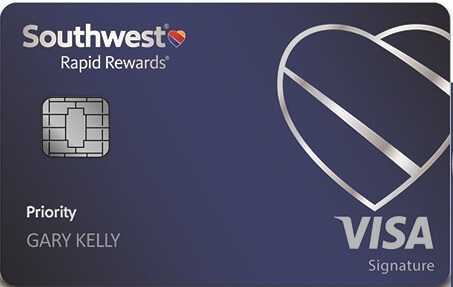 Using American miles, from 64,000 Starpoints. Miles required: 80K coach, 140K business, 230K first. Transfer Ratio: 20,000 Starpoints=25,000 AA miles. At a 1:1.25 ratio this means 64,000 Starpoints in coach, 112,000 Starpoints in business, or 184,000 Starpoints in first. Fuel surcharges: Apply for flights on partners British Airways (very high) and Iberia (nominal). Online partner airline award booking: Some partner airline awards must be booked over the phone. Stopovers: Not allowed, but you can book 1 or 2 stopovers in Europe by paying for US-Europe and Europe-Middle East award for 42.5K off-peak coach or 50K peak coach each way. Changes/Cancellation: AA allows free date and routing changes, but changes to the origin or destination city or cancellation costs $150 for non-elites. If you cancel more than 1 ticket at a time the fee is just $25 after the $150 fee for the first ticket. 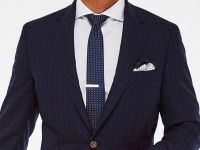 Expedite/Close-in fee: $75 within 21 days for non-elites. Avios required: 56K-69K coach, 140K-162.5K business, 221K-260K first. 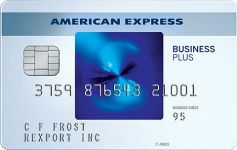 Other transfer partners: AMEX Membership Rewards partner at a 1K:800 ratio, Chase Ultimate Rewards partner at a 1:1 ratio. Transfer Ratio: 20,000 Starpoints=25,000 BA miles. At a 1:1.25 ratio this means rates starting at 44,800 Starpoints in coach, 112,000 Starpoints in business, or 176,800 Starpoints in first. Currently, British Airways is offering an additional 35% transfer bonus, so 20K Starpoints will transfer into 33,750 Avios! Transfer Ratio via Marriott: 90,000 Starpoints=120K Aeroplan plus 7 Marriott nights (7 nights can be booked and cancelled for a refund of 15K Starpoints). Currently, British Airways is offering a 35% transfer bonus, so 90K Starpoints will transfer into a week in a Marriott hotel plus 162K Avios! Fuel surcharges: Apply for all Trans-Atlantic flights except on Aer Lingus. One-way fuel surcharges are lower than round-trip surcharges. You can drastically reduce fuel surcharges for travel on Iberia via Madrid by transferring your BA Avios into Iberia Avios. You must have your Iberia account open for 3 months before you can do such a transfer. Mileage expiration: BA miles require activity every 36 months. Online partner airline award booking: Some partners, like Aer Lingus and Alaska, are bookable via the phone only. Stopovers: Each leg costs additional mileage, but you can stopover at any connection city for as long as you want. Infant fees: Instead of cash, BA charges just 10% of the adult mileage required on international segments. Note: More info on BA in this post. Miles required: 50K coach, 80K business, 115K first. Transfer Ratio: 20,000 Starpoints=25,000 JAL miles. At a 1:1.25 ratio this means 40,000 Starpoints in coach, 64,000 Starpoints in business, or 92,000 Starpoints in first. Fuel surcharges: Apply on most airlines, but not on American or Royal Jordanian. Online partner airline award booking: Some partners can be booked online, others are phone-only. Changes/Cancellation: Free date changes. 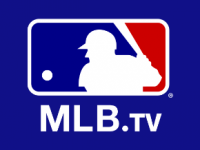 Other changes or cancellation results in a $25 penalty. 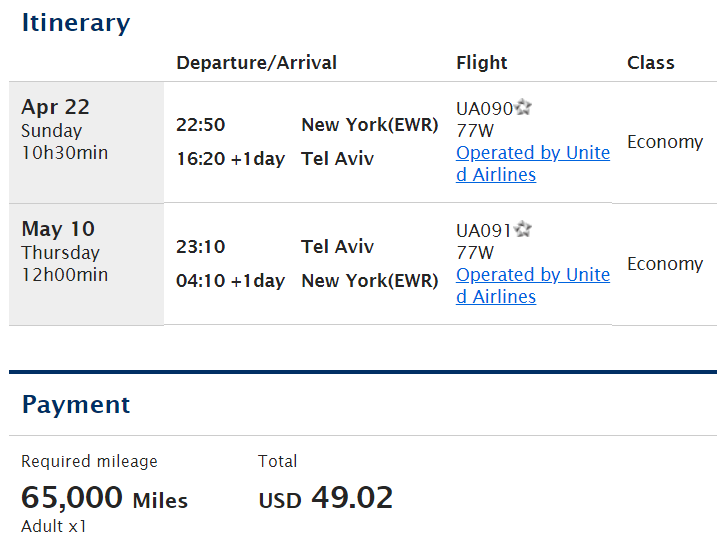 Miles required: JFK-AMM-TLV: 112K coach/224K business, JFK-LHR-TLV: 154K coach/308K business/385K first. Transfer Ratio: 20,000 Starpoints=37,500 LAN kilometers. At a 1:1.875 ratio this means rates starting at 59.7K Starpoints in coach, 119.5K Starpoints in business, or 205.3K Starpoints in first. Fuel surcharges: None. LAN is the only airline with no fuel surcharges on BA awards. Mileage expiration: 36 months after they are earned unless you fly on a paid LAN flight. Changes/Cancellation: Changes are $75 or $150 within 21 days. Cancellation is $125 or $300 within 21 days. Transfer Ratio: 20,000 Starpoints=25,000 Alaska miles. At a 1:1.25 ratio this means 80,000 Starpoints in coach, 88,000 Starpoints in premium economy, 100,000 Starpoints in business, or 112,000 Starpoints in first. Mileage expiration: Alaska miles require activity every 24 months. Online partner airline award booking: Cathay awards must be booked over the phone. Stopovers: 1 stopover allowed on one-way, 2 stopovers allowed on round-trip. Delta is extremely stingy on nonstop saver award availability. You can try searching some Skyteam availability on Delta.com and AirFrance.com. 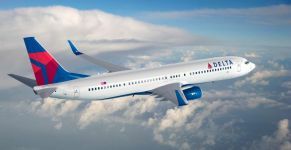 Options to Israel besides Delta’s nonstop JFK flight are on Czech via Prague, KLM via Amsterdam, Air France via Paris, Aeroflot via Moscow, Alitalia via Athens or Rome, Tarom via Bucharest, and Air Europa via Madrid. 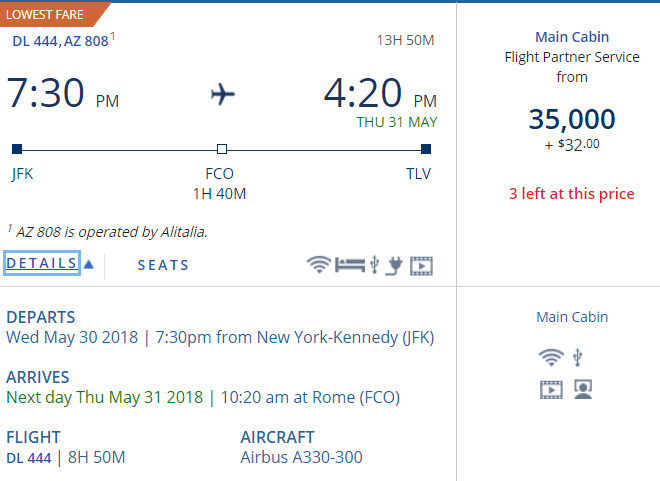 Using Alitalia miles, from 40,000 Starpoints. Miles Required: 50K coach, 80K business on Alitalia, 100K coach, 200K business on partners. Transfer Ratio: 20,000 Starpoints=25,000 Alitalia miles. At a 1:1.25 ratio this means 40K Starpoints in coach or 64K Starpoints in business on Alitalia or 80K Starpoints in coach or 160K Starpoints in business on partners. Fuel surcharges: Apply on most airlines. Mileage expiration: All miles expire every January 31st. One-way awards: Allowed for a 20% premium over half the cost. Changes/Cancellation: Date changes are free, other changes incur a 5,000 mile or 55 Euro penalty. Cancellation is not allowed. 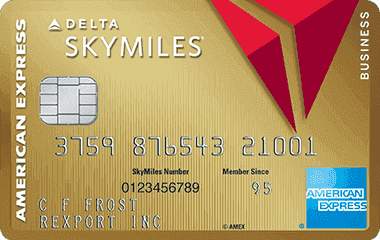 Using Delta miles, from 64,000 Starpoints. Miles Required: 70K-210K coach, 170K-600K business. Transfer Ratio: 20,000 Starpoints=25,000 Delta miles. At a 1:1.25 ratio this means 56,000-160,000 Starpoints in coach or 136,000-360,000 Starpoints in business. Fuel surcharges: Apply on select partners but generally won’t apply to/from Israel. Changes/Cancellation: There is a $150 charge to change or cancel an award ticket. No changes or cancellations are allowed within 3 days of the flight. Miles Required: 25K-37.5K coach during a promo period, 50K coach otherwise, 62.5K-93,750 business during a promo period, 125K business otherwise. Transfer Ratio: 20,000 Starpoints=25,000 Flying Blue miles. At a 1:1.25 ratio this means rates starting at 20,000 Starpoints in coach or 50,000 Starpoints in business for a promo award. For regular tickets and partner ticket 40,000 Starpoints per ticket in coach or 100,000 Starpoints per ticket in business. Fuel surcharges: Apply on all airlines except Delta. 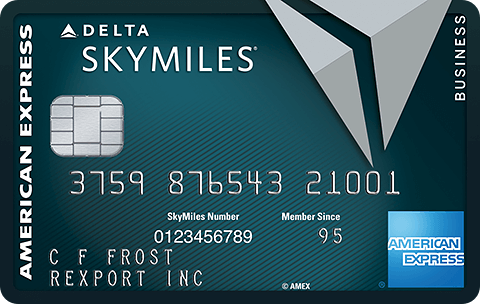 Mileage expiration: Flying Blue miles expire 24 months unless you credit a Skyteam flight to Flying Blue. 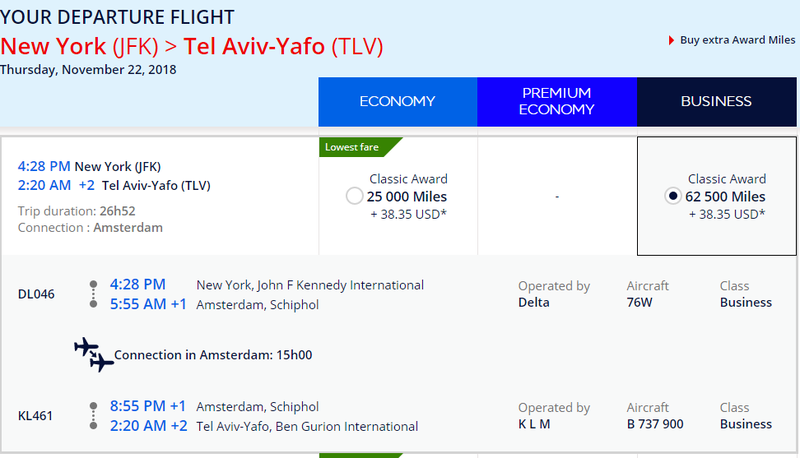 El Al has good award availability, but when you book awards via their own Matmid program you need to pay fuel surcharges. You can now use Qantas points to book award travel on El Al without fuel surcharges. Miles Required: 84K coach, 126K premium economy, 156K business from NYC-Tel Aviv. See rates for other cities here. Transfer Ratio via Marriott: 23,333 Starpoints=70,000 Marriott points=17,500 Qantas miles. Or 90,000 Starpoints=270K Marriott points=85K Qantas miles plus 7 nights in a Marriott hotel (7 nights can be booked and cancelled for a refund of 15K Starpoints, for an effective transfer ratio of 75K:85K). That would make the cost about 74K Starpoints per ticket in coach, 111K in premium economy, or 137K Starpoints per ticket in business. Mileage expiration: Qantas miles require activity every 24 months. Note: Read more information in this post. Have you redeemed miles for travel to Israel? Which methods have you used? 45 Comments On "All About Getting To Israel Using Starwood Starpoints: 2018 Ultimate Guide"
Why don’t you read the whole post like everyone else ? He worked hard writing up this whole post the least you can do is read it yourself without asking for him to summarize what he wrote. Now if you didn’t understand it after reading it that’s one thing. After searching for non-stop flights the next stop is always Air France flying blue. They have an abundance of availability always. 25k points (20k Starpoints) one way is low and fuel charges are moderate. thanks dan can you get spg points ,after linking your delta accounts, on paid klm and air france flights credited to delta sky miles? Isn’t Aegean 1:1? How would I be able to get +25% transferring to Aegean miles? Everything is 1:1 with a 25% bonus for every 20K transferred. how do you do this? can you do this online while booking? or you book direct and then call to add the stops? i have some matmid points i got for a mishap with Elal. what would you say is the best way to use them? Um, for a flight to Israel? would you credit certain oneworld flights to qantas? If you want to use them for El Al, sure. can we have a post how to book the flying blue stopover? I thought they eliminated the stopover for FB? Dan, you’re awesome! Thank you! I really appreciate all the work you put in to save us some gelt! Assuming a stop over – Which airlines offer a business class lay flat seat for the flight from Europe to Israel?? Off the top of my head, BA, Iberia, and Swiss have that. I’m getting emails from Flying Blue about the ‘wonderful’ changes they are making to their award program. Do you have any info on this? Will it basically amount to a massive devaluation? Seems just fine for TLV, but we’ll see. Thx for this amazing post! What does availability depend on with each airline? For example Aegean seems the cheapest but is it harder to find availability than Aeroplan… etc. If Aeroplan or United have availability (for an airline besides for Air Canada or United respectively), then Aegean does as well. You just may need to call Aegean to book it as their search engine isn’t as robust as Aeroplan’s or United’s. Can anyone tell me how to transfer SPG or AMEX Platinum to Qantas. They both don’t give such an option. You need to transfer from SPG to Marriott and Marriott to Qantas. The transfer ratio will improve in August. That’s not true. I did it in less than a week. 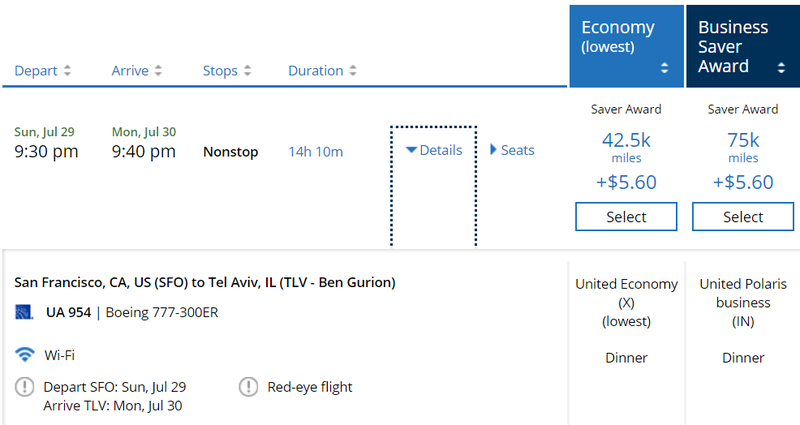 Is it possible to use Delta miles to Israel without spending tons of miles?